Asperger Syndrome in Adulthood - Description | W. W. Norton & Company Ltd.
A thorough overview of Asperger syndrome for mental health professionals. Despite the dramatic proliferation of research, clinical perspectives, and first-person accounts of Asperger Syndrome (AS) in the last 15 years, much of this information has focused on the application of the diagnosis to children, even though AS displays persistence over time in individuals. This book is one of the only guides to Asperger Syndrome as it manifests itself in adults. 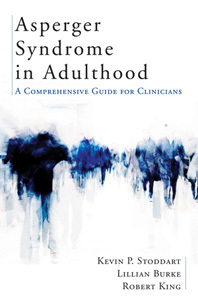 It integrates research and clinical experience to provide mental health professionals with a comprehensive discussion of AS in adulthood, covering issues of diagnosis as well as co-morbid psychiatric conditions, psychosocial issues, and various types of interventions—from psychotherapy to psychopharmacology. It also discusses basic diagnostic criteria, controversies about the disorder, and possible interventions and treatments for dealing with the disorder.